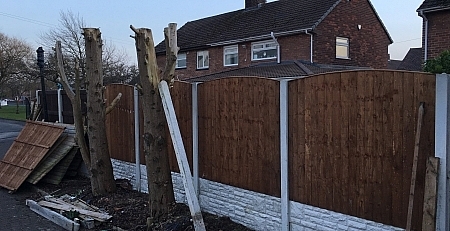 Here’s another’s example of a quality job erected by our team. 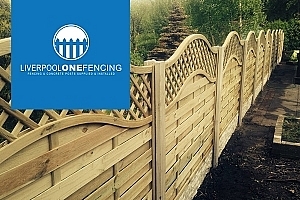 using imported European omega lattice fence panels. These panels transform any space front or back. 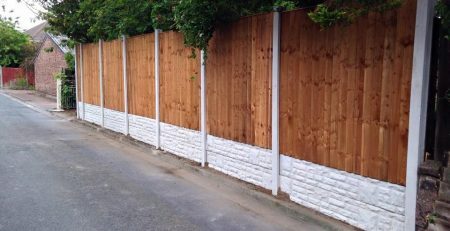 We know these panels don’t come cheap but they are double sided so perfect if you splitting the cost of your new fence. 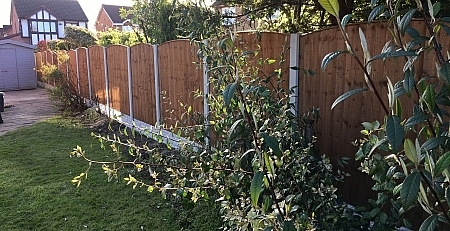 For anyone thinking of buying this type of panel you need to no they are slightly smaller than standard uk fence panels by approx 1″. The easy fix for this is by adding a 1″ baton to one side of the panel. This will make it possible to slide the panel in your self. 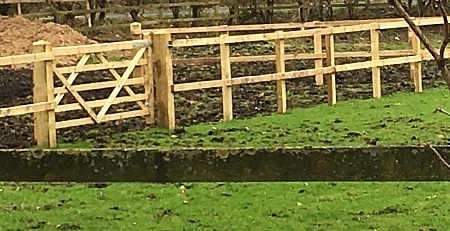 When fitting these type of fence panels in to a new fence line using concrete post & base instead of timber post which these fence panels are designed for it creates an amazing looking fence (as you can see from the pic above), But also protecting the panels from rot as they are elevated. 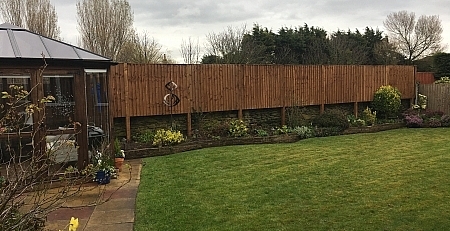 The fence in our picture was also completed in the Liverpool area. 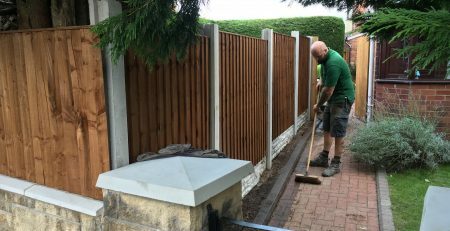 Our team of contractors are more than capable of tackling any job from domestic housings, security industrial, to securing schools. We believe we won’t be beaten on price or reliability. Thanks for taking time to ready this post. 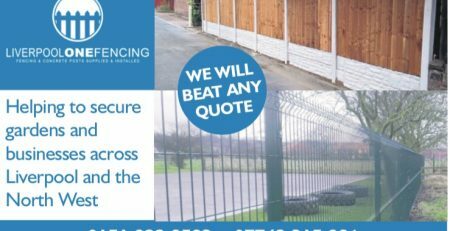 Please spread the word about your best fencing contractor Liverpool one fencing!! !